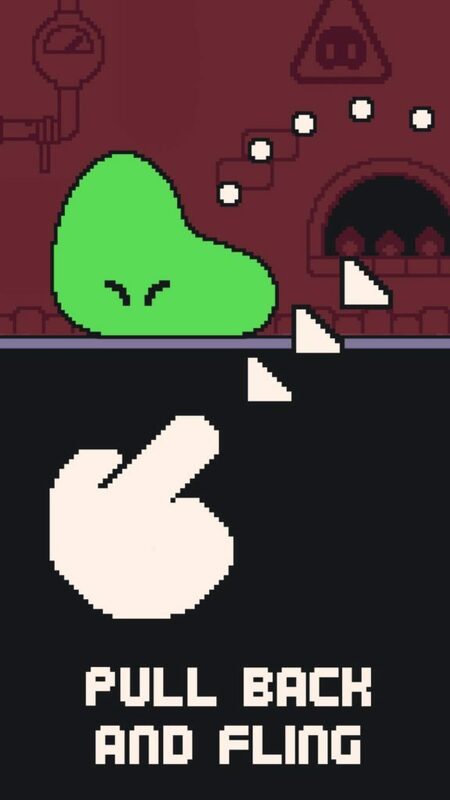 Lucky, it’s a great game and you should totally check it out! 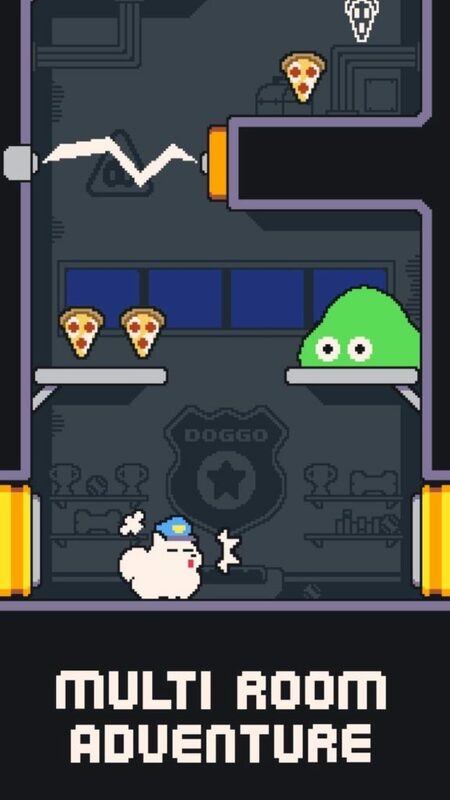 Set in a butterfly pixelated 2D world, Slime Pizza is a game about skillfully slingshotting a slimy green character around tricky levels in order to solve simple puzzles, eat pizza, and try not to get spiked! The game starts when your boss orders you to deliver one more pizza before you call it a day and snack on leftover pizza. Normally this probably wouldn’t be a difficult a mission, however, your space ship’s main computer gets hacked and you end up crashed on an unknown planet… A great start for an epic story…!! 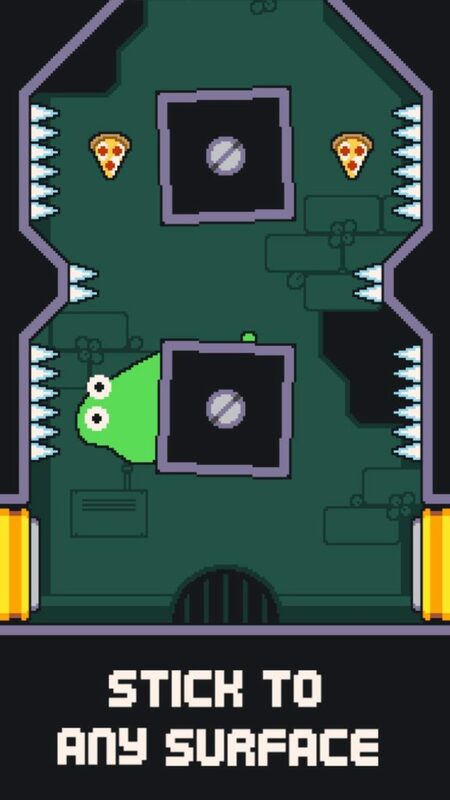 With a similar gameplay system to Leap Day, Slime Pizza allows players to periodically save their progress using the pizza they collect while playing the game, or by watching an Ad. 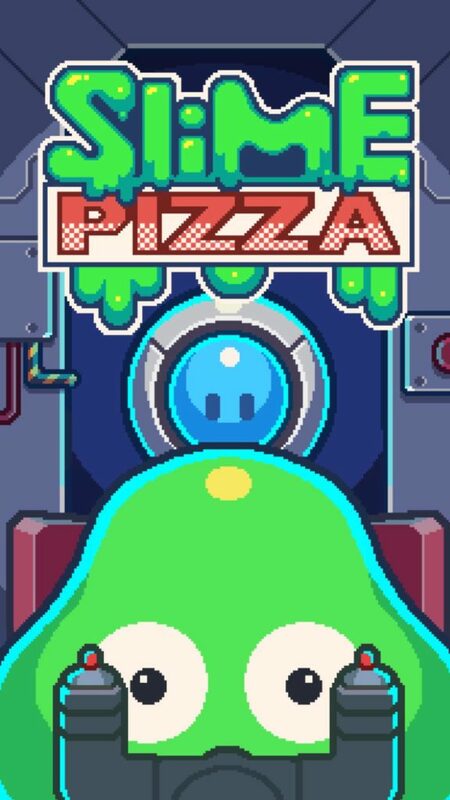 This is a huge help as Slime Pizza is a simple yet ultra challenging game! 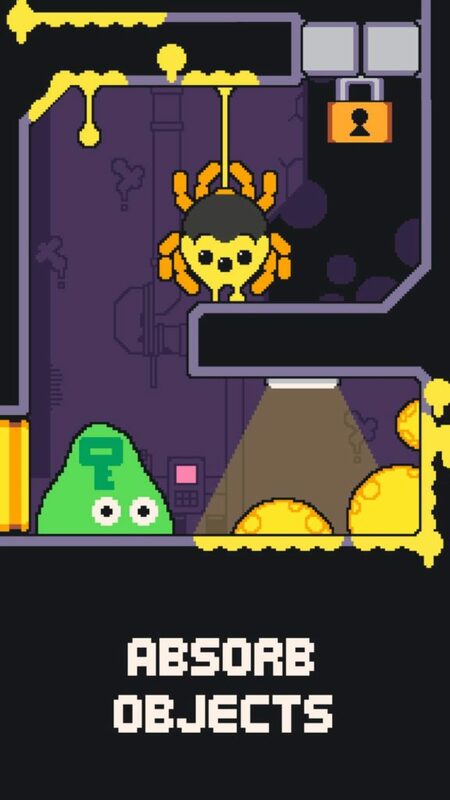 Although the core mechanic is fairly simple – slingshot a slimy green player that can stick to almost anything around a 2D stage – actually executing some of the maneuvers can be kind of tricky until you’ve really gotten the hang of things. Expect to die – a lot! That being said, all of the puzzles we’ve encountered in this game haven’t been too difficult so far and can be solved with a little logic.